Old Testament - Today in Isaiah chapter 42 we read some amazing prophecies about Jesus! Verses 1 through 4 in Isaiah 42 are known as the "Servant Song," in which the servant is the coming Messiah, Jesus. There are 3 other servant songs in Isaiah we'll read in the coming days. The nation of Israel, as well as the Messiah, are both often called "servant". The nation of Israel was to be a kingdom of priests and the Messiah is the high priest who atones for the sins of the world. In Isaiah chapter 42 verse 1 today we read: “Here is my servant, whom I uphold, my chosen one in whom I delight; I will put my Spirit on him and he will bring justice to the nations.” Verses 1 through 4 are quoted in part in Matthew 12:18-21. Do you see the prophecies about Jesus as you read today's chapter 42? Is this chapter and its prophecies encouraging to you? 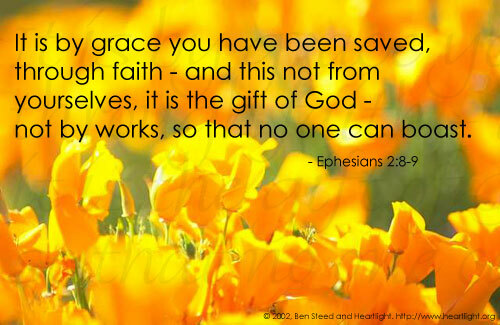 New Testament - Today in Ephesians chapter 2 verses 8 through 10 we read: “For it is by grace you have been saved, through faith—and this not from yourselves, it is the gift of God— not by works, so that no one can boast. For we are God's workmanship, created in Christ Jesus to do good works, which God prepared in advance for us to do.” (NIV) Have you been saved by grace through faith? Do you believe that salvation is a gift that cannot be earned? Have you ever felt that you had to work for your salvation? What does Paul say about works related to salvation in these verses? 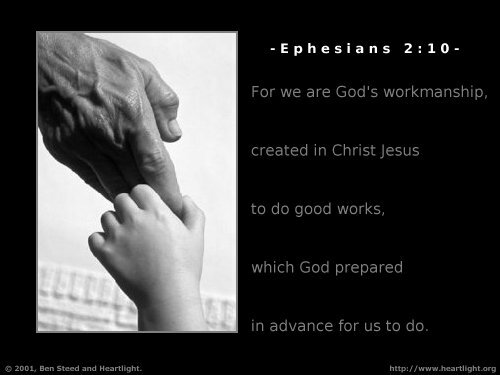 Do you believe that you are God’s very workmanship created in Christ Jesus to do good works? Do you believe that God has prepared good works for you to do in advance? Are you participating in God’s plan for your life? Psalms - Psalm 67 verse 2 today sounds very Great Commission-ish: "May your ways be known throughout the earth, your saving power among people everywhere." It's interesting to read this verse when just recently I was reading a review in my local newspaper about a book that "exposes" evangelical Christians. This book really dives into how "successful" evangelical Christians are in "recruiting" young adults ages 20 to 35 with their ministries. And this book reviewer - and the book author - were very disdainful of Christianity. Saying it threatened secular society... and this just made me realize that the more we do indeed make God's ways known throughout the earth - the more we introduce people to God's saving power among people everywhere - well, then the secular world will push back big time with books and reviews like the one I read. And the secular world will even push back in more severe ways as well. This makes me realize that indeed our efforts to make God's was known - God's love, grace, mercy, salvation, call to repentance - are being noticed by others! But hopefully more than just being noticed by others, let us pray that our Kingdom work actually introduces others to God's only son Jesus, who transforms hearts and lives for eternity! Worship God: Wow, I forgot how powerful Isaiah chapter 43 is until studying it a bit more just now. Next year I'm going to have to give some more commentary on this chapter! I recalled while reading Isaiah 43 an incredible worship song a church I used to attend sang called "Do Not Fear (Isaiah 43)." Fortunately YouTube has this song associated with a video! This song seriously would nearly bring me to tears for some reason every time we sang it. I guess because it just reminded me of the sovereignty of God in such a beautiful way. So, check out this video and worship along with the words that will come up in the video! Do you fear? Click here to have God save you from your worldly fears! Prayer Point: Pray that you realize that you are truly God's workmanship. Pray that you are doing good works that God prepared in advance for you to do. Pray that you realize that works don't save you, but that you know the truth of grace from Ephesians 2:8-9, "For it is by grace you have been saved, through faith—and this not from yourselves, it is the gift of God— not by works, so that no one can boast." Everything that is written in the Prophets is found in Jesus. I believe it is not until we get to the place where we are like the dear, with his tongue hanging out from thirst panting for water (Psalm 42:1), that God will quench our thirst and satiate our hunger. When we stop filling ourselves up with things that will never satisfy our thirst then God will come in and give us Streams of Living Water. 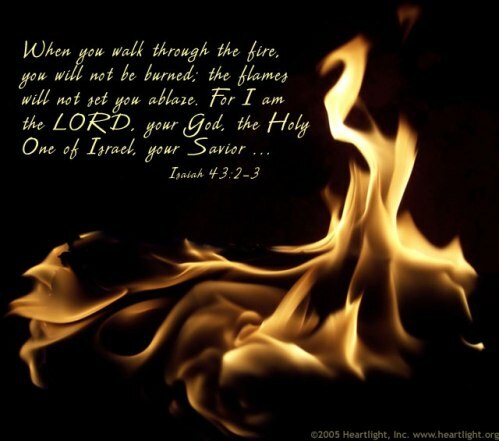 I have always loved the first four verses of Isaiah 42 from the very first time I read it. I’m not sure what specifically in and about these four verse bring me such joy and comfort but I think for me it gives me guidelines in determining or discerning who, is ministering the Gospel. 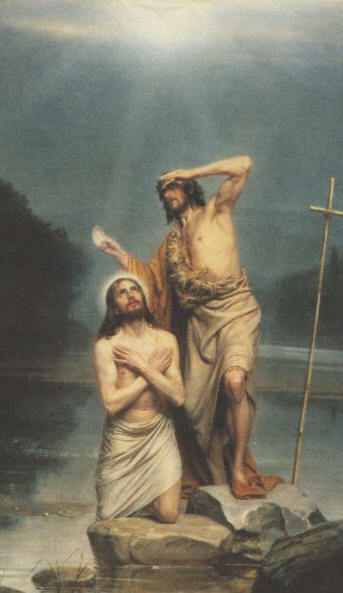 Are they, am I really being led by the Holy Spirit? Or am I being led by my own flesh? When I see or hear people preaching in the street or subway. I ask, “Are they following these guidelines?” Are they witnessing or are they being a witness by their comportment. 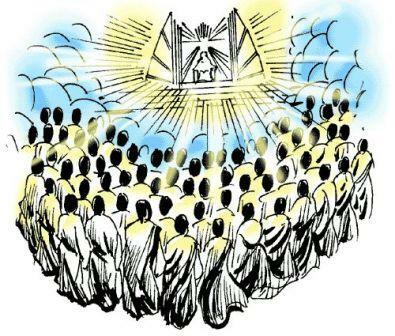 Can people see in them, can they see in me the indwelling of the Holy Spirit? God also gives Isaiah a scathing indictment in chapter 42 against God’s people then, and now. 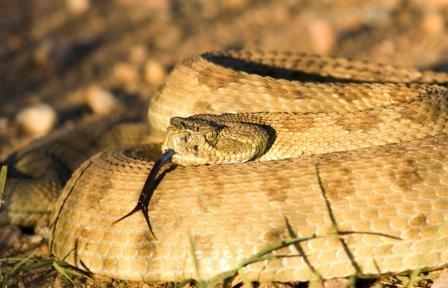 18 "Oh, how deaf and blind you are toward me! Why won't you listen? Why do you refuse to see? 19 Who in all the world is as blind as my own people, my servant? Who is as deaf as my messengers? Who is as blind as my chosen people, the servant of the LORD? 20 You see and understand what is right but refuse to act on it. You hear, but you don't really listen." Yet, despite all of these charges, we are still God’s people because He loves us unconditionally. These are awesome verses. The Law that kept God Chosen People, the Jews, separated from the Gentiles, that’s me, was done away with. He made two different people, the ones who were given the Law and the ones who were not, into one people group. Even if we refuse to accept that Jews are God’s Original Chosen People God still sees us as One. Even if the Jews fail to accept the Gentiles as part of their family, God still sees us as One Family. We are family not because we accept and are endeared to everyone; we are family by way of Blood, the shed Blood of Jesus Christ. For a while, I have seen alcoholic beverages as bottled “spirits.” In fact there are still stores in Manhattan that use the phrase, “Wines and Spirits” in the title that identifies their business. I live in the Borough of Brooklyn or Kings County, part of New York City, and my borough is also known as the Borough of Churches. A church building should be a place where folks get together who are filled with the Holy Spirit. However, we know that there are churches all around the world where there is no Spirit: they have a counterfeit spirit. Coupled with the “bottled” spirits we find in liquor stores and those places that operate under a counterfeit sprit these verses, at least to me, do not deal exclusively with the imbibing of many alcoholic beverages. Whatever the choice, fake sprit or one from a bottle, the consequences are the sam, you will find yourself shipwrecked, so beware. the person drinking is underage like our son's situation. My wife believes that abuse is reserved for raging alcoholics and that our son is simply experimenting like everyone else his age. I have blended views given my very own "experimentation", however I want to deal with this better than our parents did. Our son also recently received a public intoxication solution and we needed to pick him up from the police train station... Within the grand scheme associated with things the answer does not help us with the underage son, but it a minimum of puts us on a single page since how best to manage this..